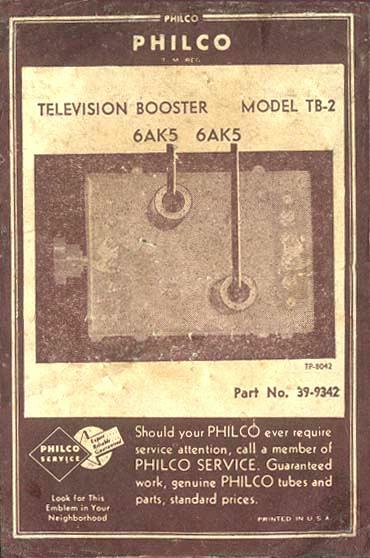 The TB-2 Booster is designed to be operated directly from various receivers by way of a special wiring harness that connected to the audio output tube to draw operating power. It is designed as two independent RF amplifiers to boost the low-band and hi-band signals or can be "strapped" to operate as an all-band amplifier. To view the operating instructions in PDF format, click here.